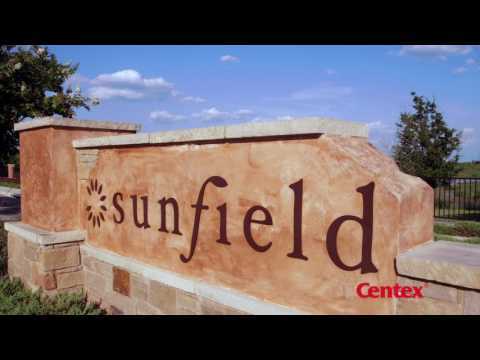 The life you want to live is waiting for you at Sunfield. Explore this community and see for yourself. Pulte's single family homes in Sunfield Enclave Series offers open concept floorplans with one or two-story living. Explore your options today. Pulte's single-family homes in the Parkside Series feature open concept plans with one-story or two-story living. Explore your options today. A covered front porch welcomes you into the Becket, a one-story plan packed with smart features and open living spaces. The one-story Independence is built for families, with open kitchen, living and dining areas, and spacious closets. The Hewitt’s open plan offers luxury and space, with a kitchen overlooking the great room and dining area, and Owner's Suite with walk-in closet. The Sandalwood’s spacious kitchen and dining areas, flexible living space, and upstairs game room provide room for the entire family. The Kisko’s versatile floorplan offers a large family room, flexible living space, spacious bedrooms, and upstairs game room. The Granville features a first floor Owner’s Suite with private bath and walk-in closet, plus three additional bedrooms and a game room.